Walt Disney's voice spoke words of welcome to the large crowd in the park. 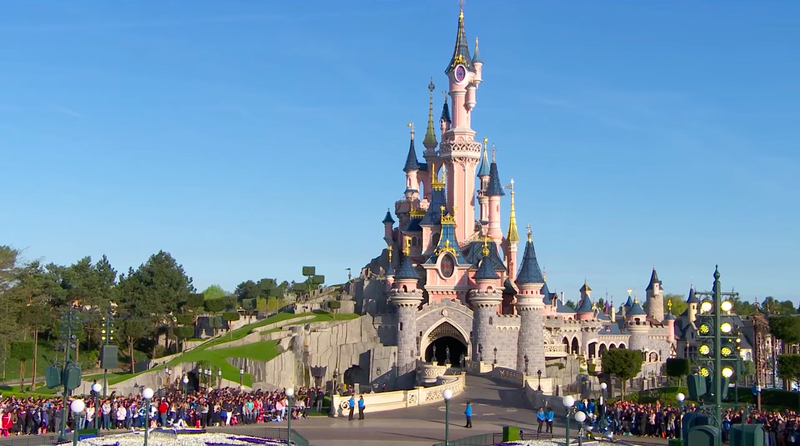 With reminders of how france once inspired Walt's visions, the opening ceremony began. 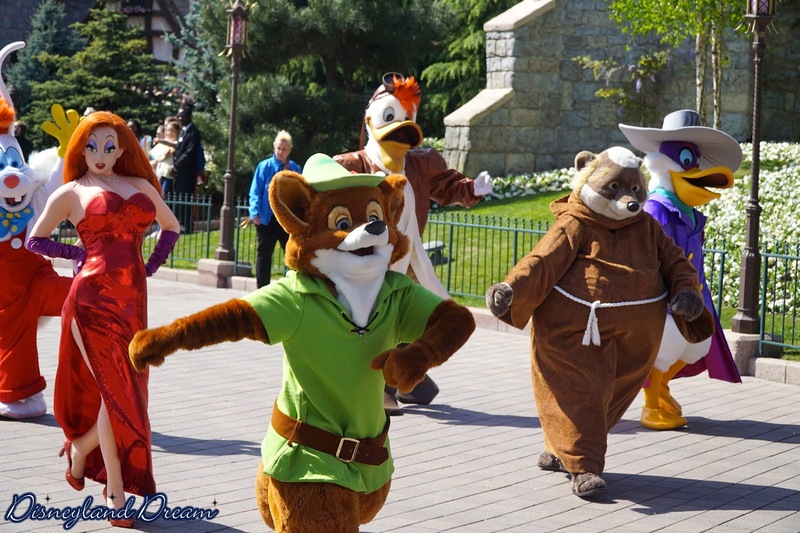 The familiar Disney gang came out of Sleeping Beauty's castle to the courtyard in front. 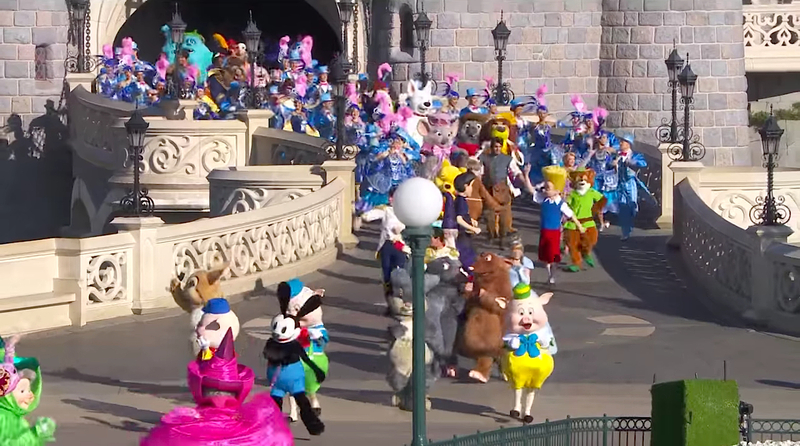 The characters included: Mickey, Minnie, Pluto, Donald, Daisy, Chip, Dale, Clarice, Duffy, ShellieMay, Goofy and his son, Max. Starting to acknowledge each of the lands in the park, Main Street was first. 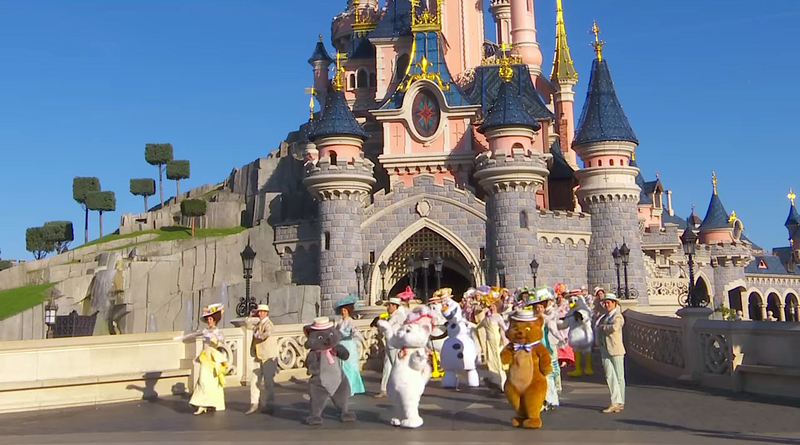 The characters who came out were: Aristocats Berlioz, Marie & Toulouse, Olaf with his Dancing Seagulls, and Mary Poppins & Bert with the Penguin Waiters. Each character got to speak a line while coming to the courtyard and some talked and interacted during their musical numbers, each one choreographed and included dancers with coordinating costumes. 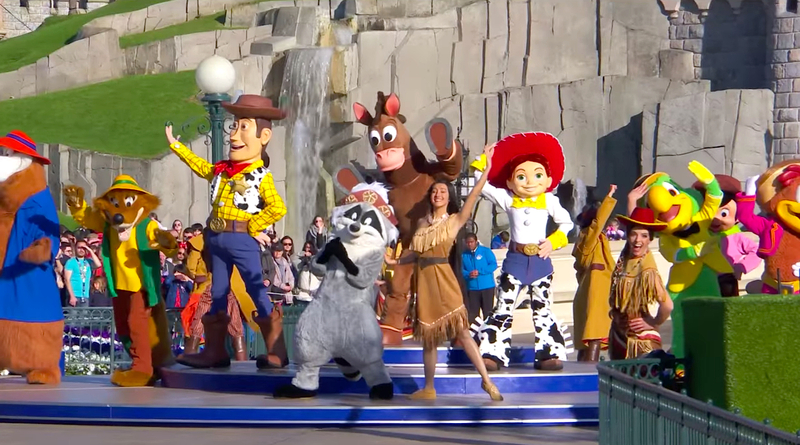 The next land was Frontierland, which included: Pocahontas & Meeko, José Carioca, Panchito Pistoles, Gauchito & Burrito from The Three Caballeros, Woody, Bullseye & Jessie, and Br'er Fox & Br'er Bear from Song of the South. Adventureland was next, which included: Tarzan & Jane, Baloo & King Louie from The Jungle Book, Rafiki & Timon from The Lion King, Aladdin, The Sultan & Jasmine, and Angelica & Jack Sparrow from Pirates of the Caribbean. 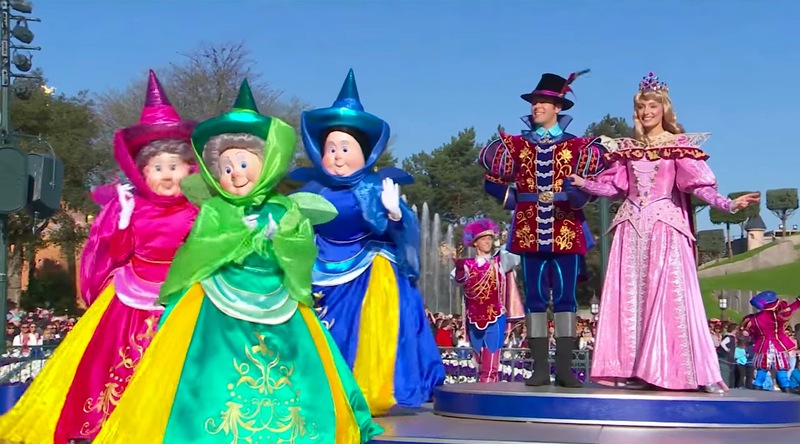 Even Sleeping Beauty's Castle was acknowledged with its own musical number, having Aurora, Prince Phillip, Flora, Fauna, & Merryweather addressing the crowd and officially opening the day. However, the ceremony was not finished just yet. Just then, It's a Small World began to play, and out from the castle gates marched droves of Disney characters: Oswald the Lucky Rabbit, The Three Little Pigs, Thumper & Miss Bunny, Emile & Remy from Ratatouille, Prince Charming & Cinderella, Merlin from The Sword in the Stone, Prince Eric and Ariel, Wilbur Robinson & Lewis from Meet the Robinsons, Winnie the Pooh, Friar Tuck & Robin Hood, Flynn Rider & Rapunzel, King Leonidas from Bedknobs and Broomsticks, Emperor Kuzco, Bernard and Miss Bianca from The Rescuers, Bolt & Mittens, Abby Mallard & Chicken Little, Belle & Beast, Russell & Carl from UP, Prince Naveen & Tiana, Mike & Sully from Monsters Inc., Clopin from The Hunchback of Notre Dame, Meg & Hercules, Jake from Jake and The Never Land Pirates, Phineas & Ferb, Shang & Mulan, Vanellope von Schweetz from Wreck-It Ralph, Merida, Doc McStuffins, Roger & Jessica Rabbit, Sofia the First, Launchpad McQuack from Duck Tales, Darkwing Duck, Mr. & Mrs. Incredible, Elsa & Anna from Frozen, Hiro, Honey Lemon, Go Go Tomago & Wasabi, from Big Hero 6, Joy & Sadness from Inside Out, Elena of Avalor, Kenai & Koda from Brother Bear, Flik & Princess Atta from A Bug's Life, Nick Wilde & Judy Hopps from Zootopia, and Moana. 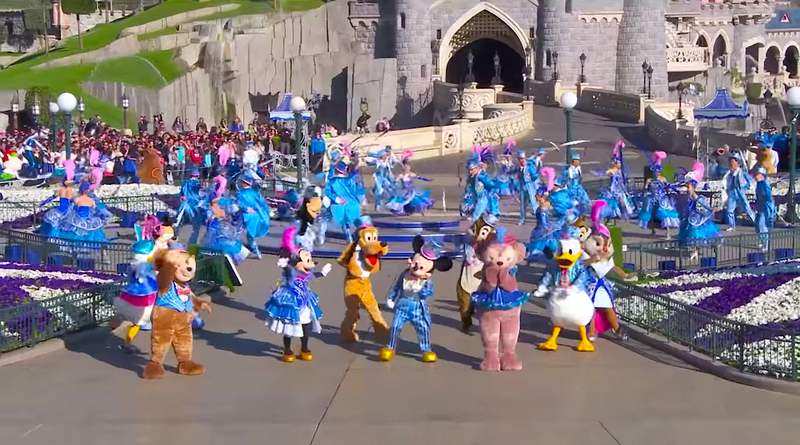 Mickey and the gang came back in style, sporting new anniversary outfits and enthusiastically welcomed by guests and characters lining Main Street. 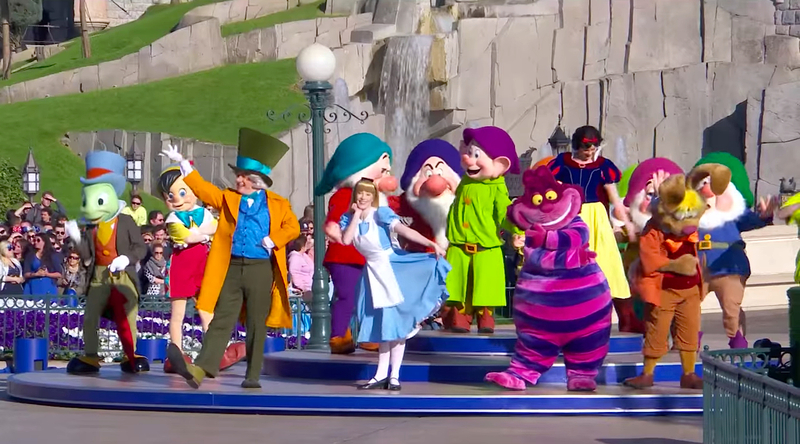 The characters all performed to Zip-a-dee-doo-dah, When You Wish Upon a Star, and the new 25th Anniversary song Everyday's A Celebration. 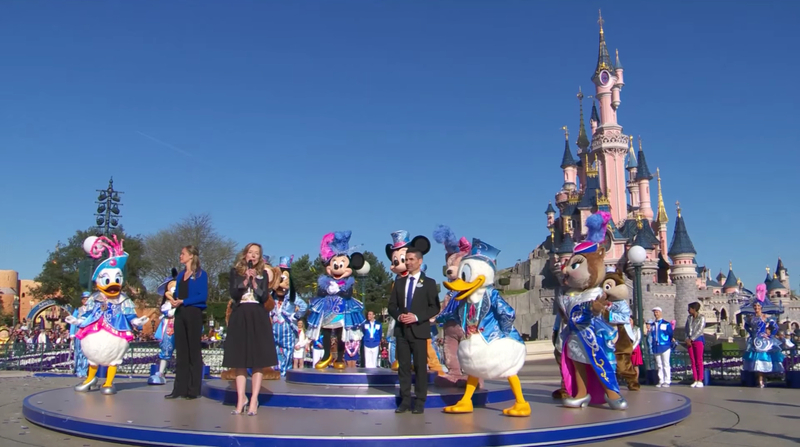 The president of Disneyland Paris, Catherine Powell, spoke to the crowd and thanked guests as well as the cast members - all of which came out from the castle to close the ceremony in one large parade down Main Street! The festivities didn't end there. 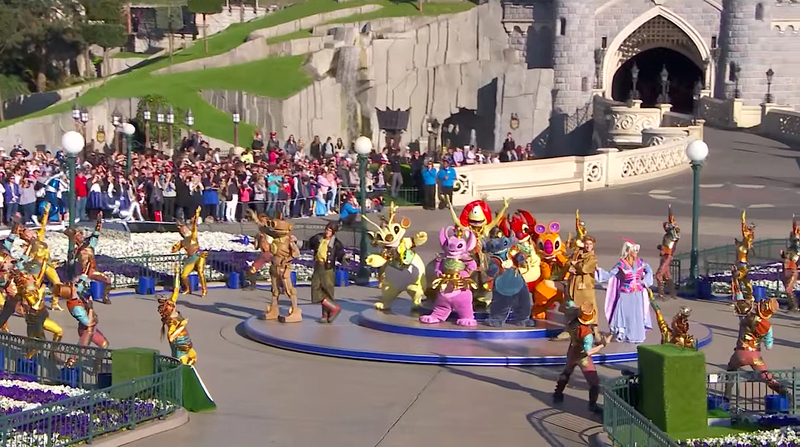 Two parades took place during that day, both of these with all of the characters seen during the opening ceremony. 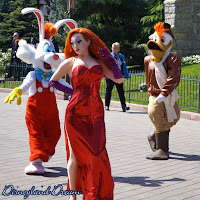 This included all the rare characters like Jessica Rabbit. 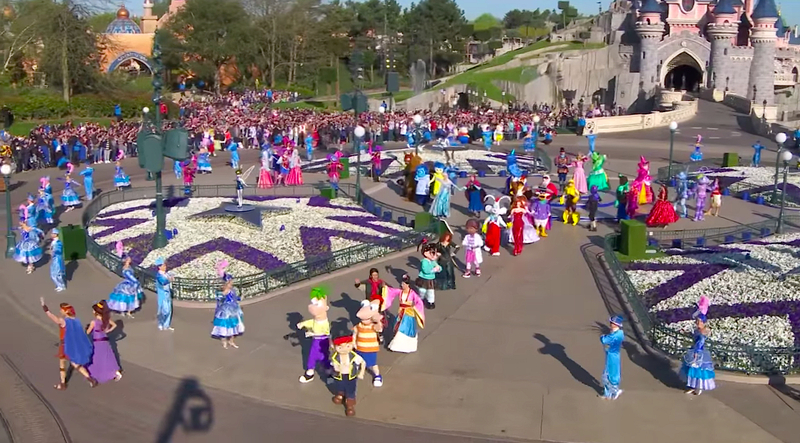 The procession began at Main Street and ended by Fantasyland, and the parade ran again in the opposite direction. 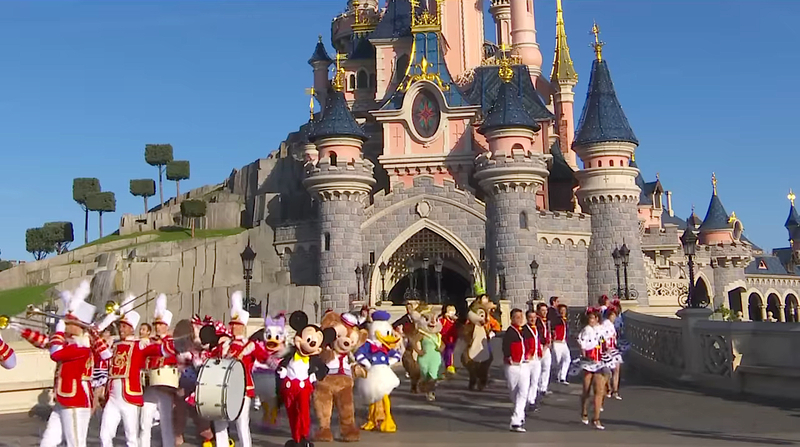 The Disney Character Cavalcade started off with Mickey and Minnie in their anniversary outfits and followed by all the characters. Jessica was toward the beginning of the parade. She was, of course, along with Roger. 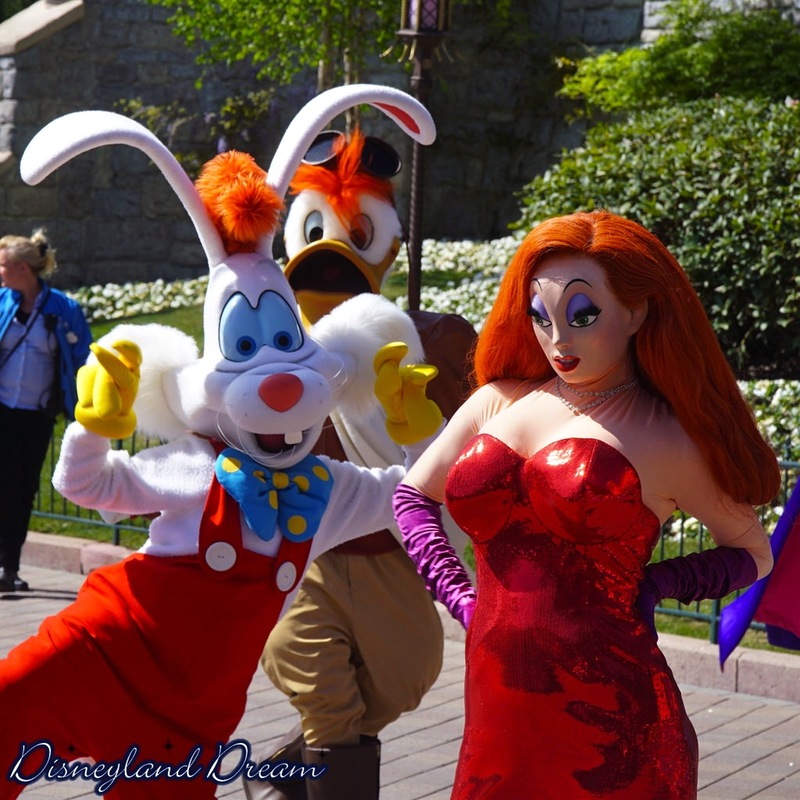 The two of them have many interactions together through the parade route as well as dancing to choreography for the anniversary music. They were also joined by Robin Hood, Friar Tuck, Darkwing Duck and Launchpad McQuack, Belle and Beast, Ariel and Eric and more. The only real floats for the parade were the bike platforms the main gang was riding. 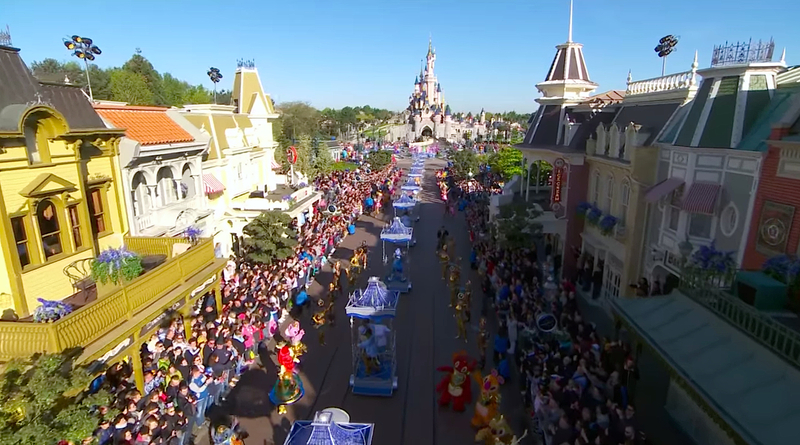 The entirety of the parade was the characters walking and interacting with the guests. 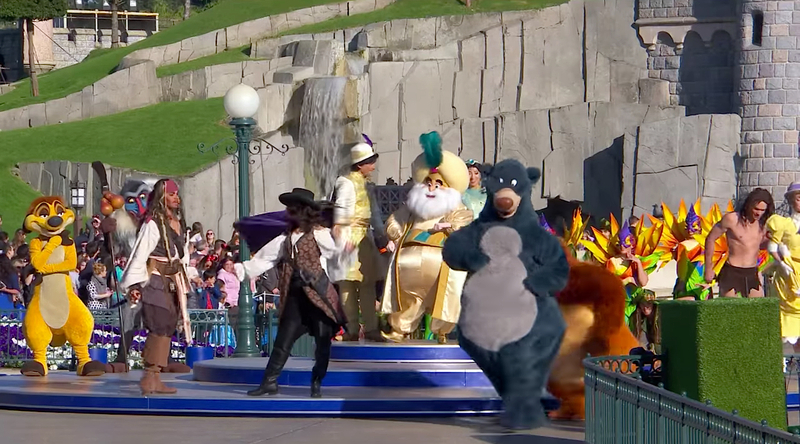 This is only the second appearance for the Jessica character walking around the park. You can see more amazing photos by visiting Disneyland Dream on Flickr who allowed ImNotBad.com to use some great pictures of Jessica. 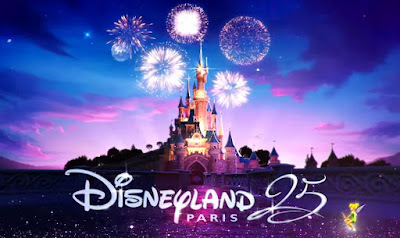 People are extremely impressed with Disney Paris' Anniversary celebration and their use of the rare characters. 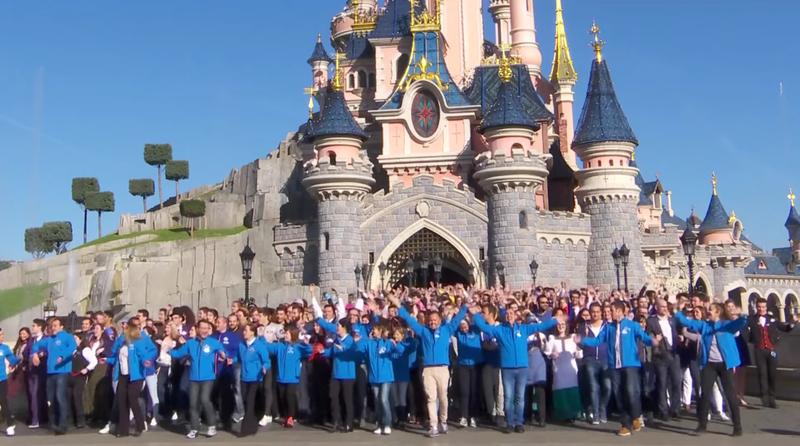 I also found it very respectful that they added in every cast member to the opening ceremony. 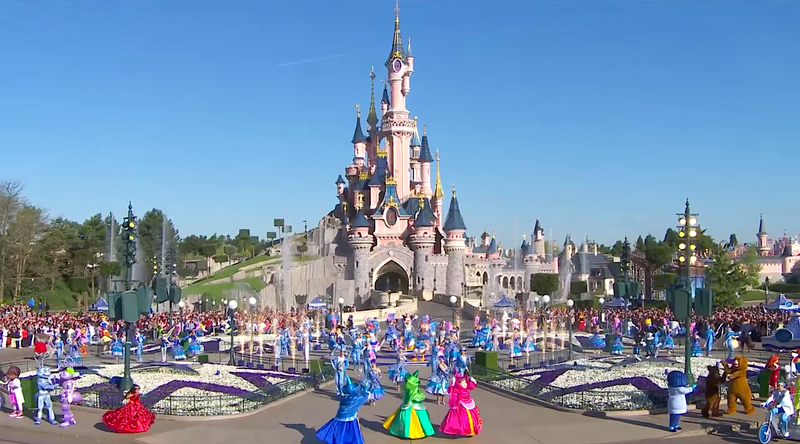 Watch the video below to see the full opening ceremony show.